All students are expected to study 8 subjects for IGCSE. These must include Mathematics, English, Thai, and at least one Science (Biology, Chemistry or Physics) . 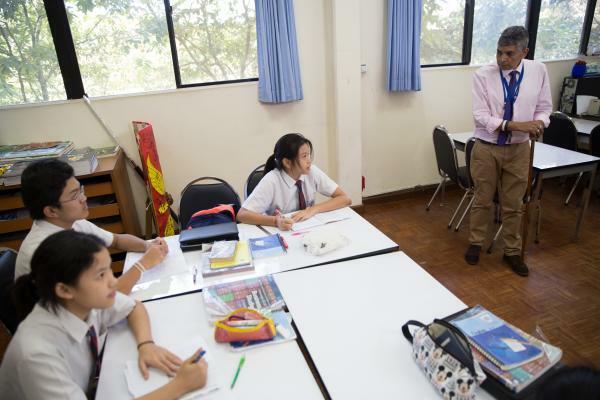 Although all students take Thai, only those who are native speakers are expected to take the IGCSE examination. For their other subjects selections are made from Art, Biology, Business Studies, Chemistry, Design Technology, Food Technology, Geography, History, ICT, Mandarin, and Physics. The top Year 10 and 11 English sets normally take both IGCSE First Language English and IGCSE World Literature. Other students take IGCSE Second Language English.